The lamb market is throwing up some interesting data at the moment. Meat and Livestock Australia’s (MLA) weekly slaughter data is telling us lamb slaughter is at a record for this time of year, yet prices remain historically strong. Figure 1 shows that slaughter for the week ending the 15th of September has reached levels we normally see towards the end of October. 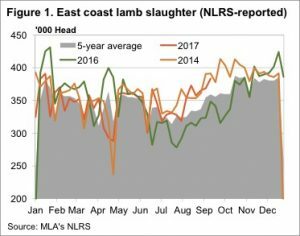 The 383,184 head slaughtered on the East Coast last week was the second highest level for the year, 10% higher than last year and the second highest on record for this week. We can also see in figure 1 that weekly lambs slaughter this year is following the 2014 trend very closely. While the slaughter trends for 2014 and 2017 are a close match, prices are doing a much better job of holding up this year. 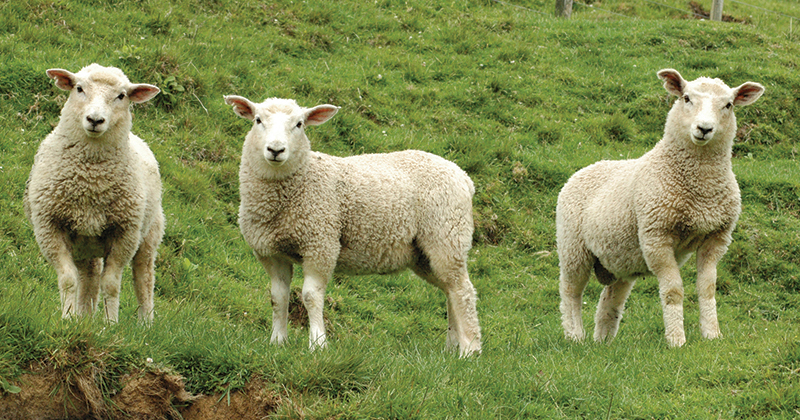 In 2014 rising lamb supplies saw prices fall heavily in August, and stay there until December. Apart from prices easing from extreme highs in June, we still haven’t really seen prices deteriorate in response to stronger supply. 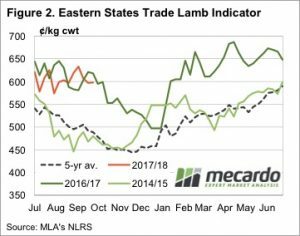 This week the Eastern States Trade Lamb Indicator (ESTLI) gained 1¢ to sit at 598¢/kg cwt. 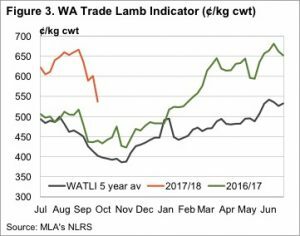 The story was different in the West where the WA Trade Lamb Indicator (WATLI) fell over 10% this week to 537¢/kg cwt, a 7 month low (figure 3). Lamb supply in WA wasn’t particularly strong this week, but mutton was, with over 20,000 head yarded. WA mutton values fell 65¢, over 20%, to 270¢/kg cwt. In the last few years the 400,000 head mark has been the trigger point for heavy falls in prices. Lamb slaughter appears to be headed that way, but could just as easily track sideways for a month or so. Does this this mean prices will also track sideways? It’s hard to say, but demand appears to be very resilient. Price movements in WA are a warning as to what could happen if lamb supply picks up enough to put pressure on kill space.